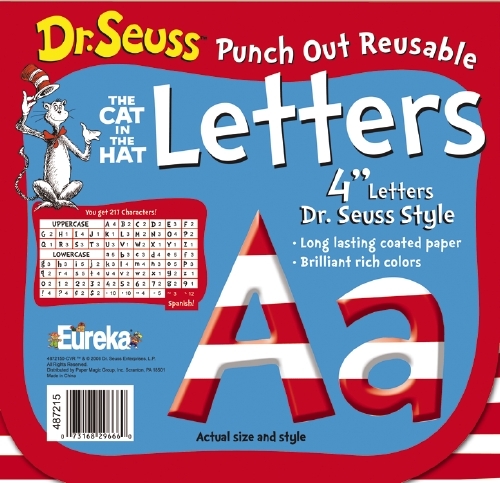 Letters in Dr Seuss' signature red and white will make a wonderful display in any bedroom, reading nook or home library. 217 letters, each measuring approx. 102 mm H.